I often come across new and unusual things. and I thought you might too! So today's subject is Halva. 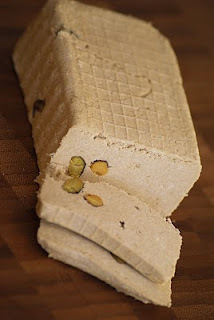 According to Wikipedia Halva refers to many types of dense, sweet confections served across the Indian Subcontinent, Central Asia, West Asia, North Africa, The Horn of Africa, The Balkans and the Jewish World. So it's a type of dessert/confection - right? Unsure of what I was tasting, I cut a tiny slither off one of the slices of Halva and put it in my mouth..
and then the Halva melted away in my mouth. The halva itself was incredibly oily - I'm guessing from the nuts. I guess the easy answer is EAT IT! But after googling for a while I've seen suggestions of putting it on bread, having it with coffee like a biscuit, spreading it on biscuits etcetc. I also saw recipes for halva cupcakes but I could see it as an addition to ice cream (yes, I'm obsessed - I think this is where the halva will end up) or maybe as a garnish for a cake - Anything that lends itself to nutty flavours really. Maybe you could put it in a cookie! which is where I was sent the Halva from. Otherwise maybe have a look at your local Turkish Supermarket/store. Or you could make it yourself! Have you ever had Halva? What do you think I should do with it? and What do you think about a series of these posts? Yay or Nay? 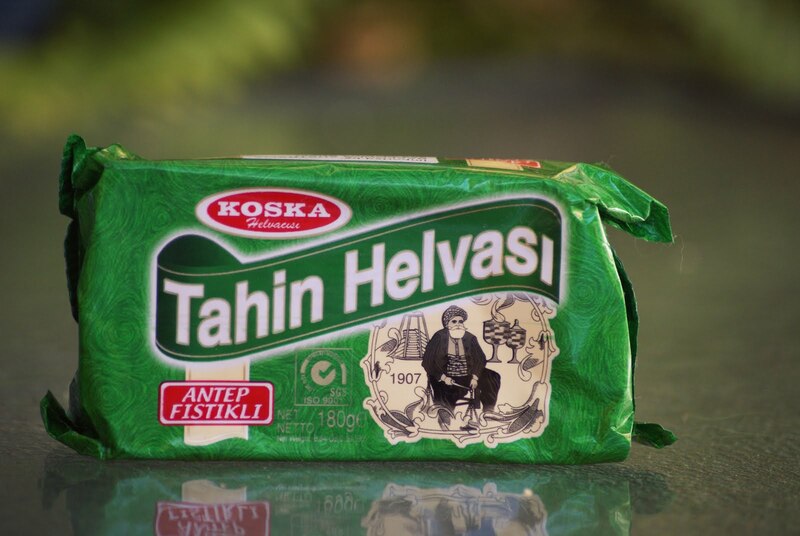 I haven't had Halva before but my immediate thought when I saw your picture was that needs to be spread on crusty bread! It definitely does look like that!